Many children around the world are suffering and struggling. Some of them do not have clean water to drink, and others do not have access to housing, clothing or education. When you want to make a difference from your home, you can certainly take steps to accomplish that goal. With all of the platforms for selling items online these days, you can certainly find at least one that is suitable for you. Begin by going through items in your home to see what you can put up for sale. You may also have skills in a particular craft, and you can sell these items online. Let buyers know that all of, or a certain percentage of, the sales will go to children in need. You don’t need to have a sale to donate money. Look into foundations, like this one by Gary Young, that help raise money for children in need. Some people decide to make lump sum donations, and others choose to donate smaller amounts on a regular basis. Select foundations and charities where a large percentage of the money goes to children in needs so that you can make sure these youngsters are receiving the funds. Another way to directly connect with these children is to offer free or low-cost teaching or tutoring services. You would need to connect with an entity that provides internet connectivity for these youngsters. Children who are living in poverty-stricken areas generally do not have access to the internet on an at-will basis. Another idea is to connect with a school that does not have adequate resources. If even just one system is established, lessons could be projected onto the screen for the children to watch. When you are interested in getting to know the specific child whom you are assisting, consider sponsoring a child. You can make a certain amount of donation on a regular basis to this particular child. In return, you’ll receive updates on the child. This relationship can really grow, and you may have a personal connection with the child whom you sponsor. You can take on this responsibility from your home. Use the power of social media to let individuals know that you are taking up a collection for children in need. Consider contacting a particular charity or organization to find out what ideas are needed the most. For example, you may take up a drive for clothing during the cold months or for school supplies when youngsters return to their classes. 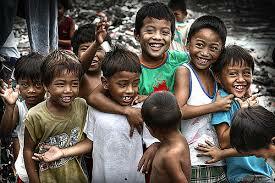 The specific needs are going to depend upon the part of the world where the children are living. If you want, you can go to people’s houses to pick up their donations, but you can also ask them to drop these goods off to you. Once you have assembled the goods, send them to the children. You may want to take up a collection at a certain time of the year, such as Christmas. One major problem with these struggles is that so many people do not even know they exist. They don’t recognize how many kids are living in squalor and how many of them do not have a place to call home. Use the internet, whether through social media campaigns or emails, to let people know about what is happening. By raising awareness, you can encourage other individuals to participate in your efforts too. When you want to help children from your own home, you have many options available. These options can help you truly reach out to those who are in need.